There are fascinating corners in Madeira to enjoy an attractive holiday and, without any doubt, one of the most unforgettable is Câmara de Lobos, where visitors can enjoy rustic and natural surroundings. When visiting Câmara de Lobos don’t forget to visit Pico da Torre, Curral das Freiras, Boca dos Namorados, Boca da Corrida and Cabo Girão. Câmara de Lobos is a city and the county seat of the parish, on the south coast of the Madeira Island. 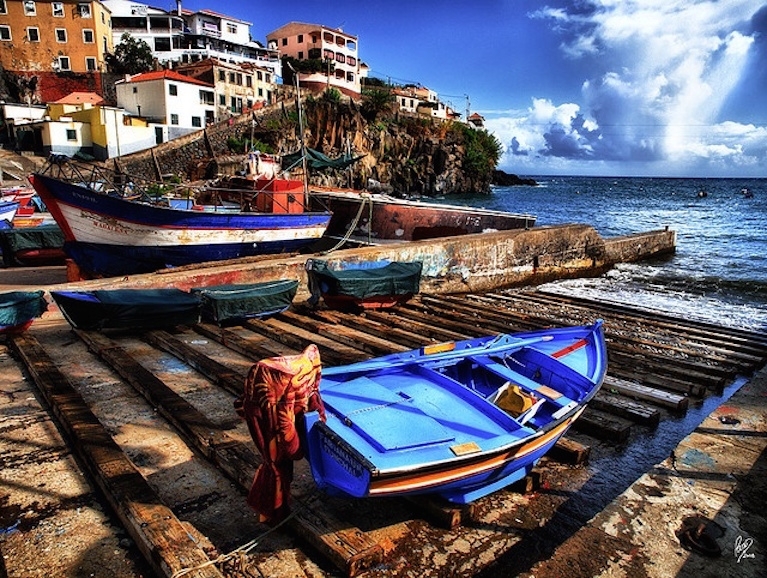 The municipality of Câmara de Lobos has about 35,000 inhabitants spread over an area of 51.82 km2. The main economic activities of the parish are fishing, agriculture with emphasis on banana production, trade, services and industry. 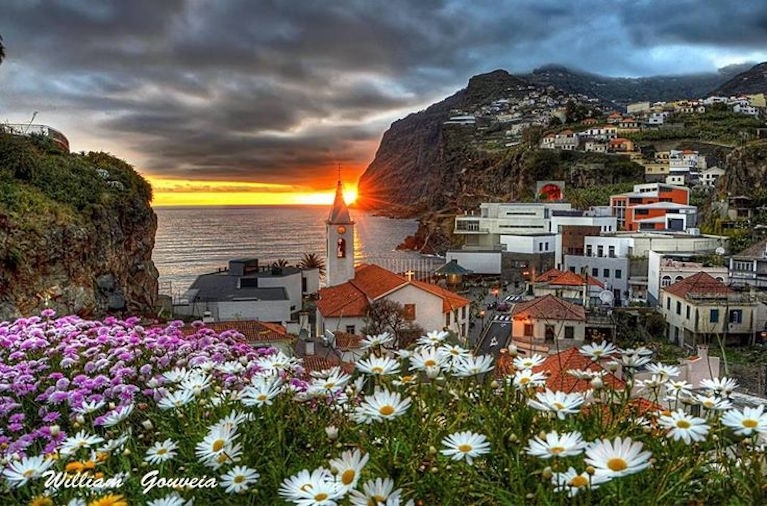 The location of town is thought to be the original arrival point for the Portuguese discoverer João Gonçalves Zarco, who is credited with the discovery of Madeira Islands. When the explorer disembarked in Câmara de Lobos in 1419, he observed a thin cliff that extended into the ocean, and another cliff face that formed an amphitheater-like harbor that could shelter ships from Atlantic storms. The name of this parish comes from the fact that at the time of the discovery of the island loads of sea lions were sighted at that cove that still retains the same configuration. Currently these animals appear only occasionally on the south coast of the island, with a colony preserved in the Desert Islands. This land of fishermen, whose main expertise is the fishing for black scabbardfish, owes its fame to the fishermen who paint the bay with their picturesque and very distinctive boats - the Xavelhas. The former British Prime Minister, Winston Churchill, painted this exceptional portrait when he visited the island on 8th January 1950. The historical heritage of the village of Câmara de Lobos features the Igreja de São Sebastião, built in the sixteenth century, the chapel of Nossa Senhora da Conceição founded in the fifteenth century and rebuilt in the eighteenth century, the former convent of São Bernardino built in 1425, and the Lime Kiln integrated in tourism project in the Salinas area. Here you can climb to the islet of Câmara de Lobos a cliff overlooking the sea that resembles an island, which is home too much of the fishing population of this locality. This space has recently been refurbished and adapted to cultural activities, with a beautiful garden, providing magnificent views of the city, the sea and the surrounding area, including Cabo Girão. Cabo Girão: The Cabo Girão viewpoint, situated on the highest promontory in Europe, at an elevation of 580 m, offers a vertiginous view of the fajãs of Rancho and Cabo Girão – small areas of cultivated land at the foot of the cliff – as well as magnificent panoramic views over the ocean and the municipalities of Câmara de Lobos and Funchal. Eira do Serrado: Located at an elevation of 1,095 m, it offers a stunning panoramic view over the parish of Curral das Freiras. The Eira do Serrado viewpoint, located in the mountainous interior of the municipality of Câmara de Lobos, in the 'heart' of the island, stands at an elevation of 1,095 m. It offers a fantastic panoramic view of the valley where the picturesque parish of Curral das Freiras lies, and the majestic mountains of the central massif that surround it. Fajã dos Padres: The Fajã dos Padres viewpoint is located in the parish of Quinta Grande, on a cliff top at an elevation of about 250 m, providing a beautiful view of the Fajã dos Padres, a fertile land area by the seaside, where you can swim in the crystal clear waters of the sea and taste delicious fish and shellfish dishes in the local restaurant. San Sebastian church: On the site of today’s church there used to stand a chapel dedicated to the holy ghost which was first erected in 1430. Today’s San Sebastian church is well worth a visit as it has beautiful azulejos (tiles) and gold plated wooden carvings at the altars. New Promenade Area: With a distance of approximately 2.2 km, the promenade connects the Câmara de Lobos bay to the Lido promenade. Curral das Freiras Viewpoint: urral da Freiras is the largest parish in the municipality of Câmara de Lobos, covering 25.07 km2, with about 1,700 inhabitants. This parish has a unique location on the island of Madeira, situated in a deep valley, which resembles the crater of a volcano but which owes its appearance only to heavy erosion. Miradouro Pico da Torre: Offers a 360º panoramic view over the municipality of Câmara de Lobos and part of Funchal. The Pico da Torre viewpoint: stands at an elevation of 205 meters and is an excellent spot to observe the Câmara de Lobos city centre, its picturesque bay, the Cabo Girão promontory, the Estreito de Câmara de Lobos village and part of the municipality of Funchal. Chapel Nossa Senhora da Conceição: The Chapel of Our Lady of Conception , also known as the Chapel of Our Lady of the Pebble , is located right in the heart of the city of Câmara de Lobos , near the bay . It was built in 1420 by João Gonçalves Zarco and , according to some researchers , it was the first chapel to be built on the island. 3 Bedroom Villa: Located 1,30 k.m. from Câmara de Lobos, this luxurious and modern villa is a part of a private complex and has scenic sea and mountain views. The 3 Bedroom Villa in Funchal features an outdoor swimming pool with a sun terrace. Hotel Orca Praia: Situated on a cliff overlooking the Atlantic Ocean and a sandy beach, this hotel is 6 km from the centre of Funchal. It features an outdoor pool with panoramic views and spacious guestrooms with private balconies. Victoria Villa: Just off Funchal city, in Madeira Island, the air-conditioned Victoria Villa offers a tranquil setting in a residential area. It offers unparalleled views over the city and the Atlantic Ocean, and an outdoor pool. For more hotels in Câmara de Lobos click here.